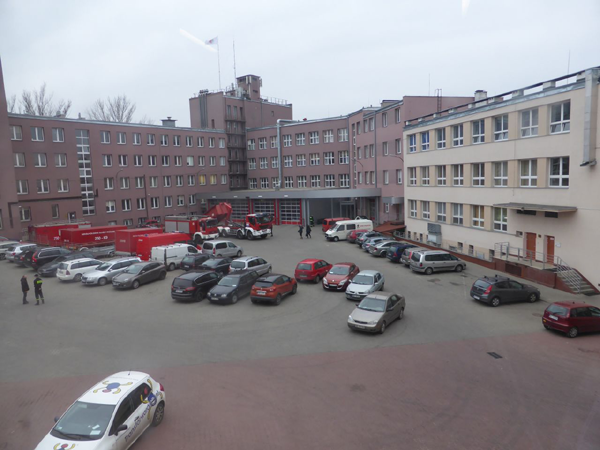 The “End-User Driven demo for CBRNe (EDEN)” FP7 Project workshop was organized in February 25-26th, 2015 in the Main School of Fire Service (SGSP) in Warsaw, Poland. This was a Virtual Facility (VF) event in a series of four workshops led by the SGSP in context of EDEN. Each VF is a virtual simulation of respective emergency radiation incident scenarios inside and outside of a nuclear plant which affect public safety at different levels of crisis management in an imaginary country. EDEN project is an EC collaborative project involving a consortium of 36 members across 15 countries, with BAE Systems (UK) as the project consortium lead. The consortium members comprise of 6 CBRNe domain end-user organizations, major corporate stakeholders, large system integration and solution providers, including Small to Medium Enterprises and Research Technology Organizations. The EDEN VF event of February 2015 was attended by an audience of more than 50 international end-users and tool providers from emergency and crisis management community who worked together against a training scenario. Main objective of the EDEN’s VF is the comparison of currently used tools to the potential of “EDEN Store” tools and the exchange of experiences between suppliers and end-users. The ARGOS approach and the planned solution for the protection of nuclear CIs beyond the perimeter zone was presented during the workshop by ATHENA partner. ARGOS project aspects and planned activities, were further discussed during the roundtable discussions as well as during the networking event which followed the closing session of the workshop.